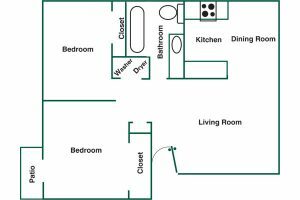 Park Place Apartments - McMinnville, OR | Norris & Stevens, Inc. Welcome to Park Place Apartments where our beautifully kept grounds compliment our spacious apartment homes. We love it here and we think you will too, but don’t just take our word for it. We would be delighted to have you come and take a look for yourself. We are a 36 unit apartment community that consists of 36 2 bedroom 1 bath apartments. We offer quite and cozy living with country charm and friendly atmosphere. Built in 1996 our apartment homes are built with modern contemporary style. With such amenities as energy efficient windows, ceiling fans, newer carpet,beautiful kitchens, assigned parking ,washers and dryers in every apartment. Park Place Apartments is located in the historical neighborhood of Old Town McMinnville, Oregon. Our community is within walking distance to several local city parks, downtown shopping and dinning.